While all techies are guessing what iPhone 8 could look like in real, another leaked image of Apple’s new flagship device has left us all mesmerized. iPhone 8 has not been launched yet, but its fans are awaiting this box of joy since the very first time it came in news. After so many leaks and renders of this promising smartphone, here comes another image showcasing its design and layout. Evan Blass has shared the image on his official Twitter account, and so far, we can say that it is one of the best captures or leaks that we’ve found on social media platforms. Another post covering the top stories and leaks of this much-awaited device talks about the expected release date, starting price and the type of display it will have.The current render displays an iPhone that is covered with a third-party case and bears a unique green colored element on its side. Seeing the image, we can confidently say that the phone will have zero bezels this time. The display reminds us of the sketch that a programmer discovered in HomePod speaker’s firmware. In the third week of June, one of the leaksters had made iPhone 8 dummy video available for the public. The leaked video let us believe that it could be one of the most powerful smartphones of the year 2017. 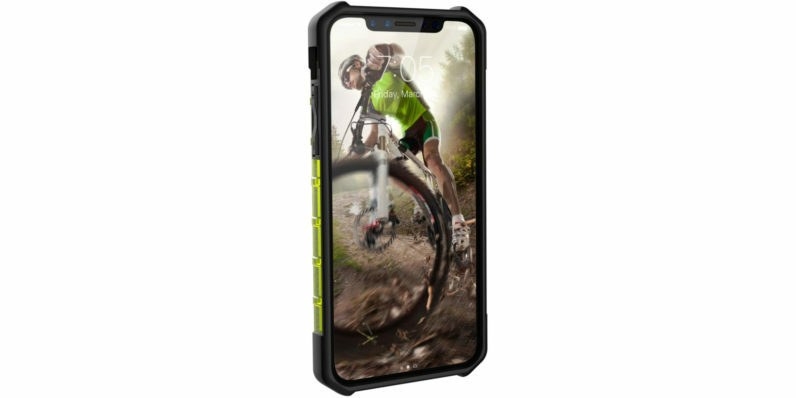 The current render displays an iPhone that is covered with a third-party case and bears a unique green colored element on its side. Seeing the image, we can confidently say that the phone will have zero bezels this time. The display reminds us of the sketch that a programmer discovered in HomePod speaker’s firmware. Other features of iPhone 8 that this leaked image shows include a better screen resolution, dual camera setup and a unique infrared face unlock mechanism that the user can operate in no light as well. Also, the upcoming iPhone will be easier to handle because of its comparatively smaller body.